Hello! 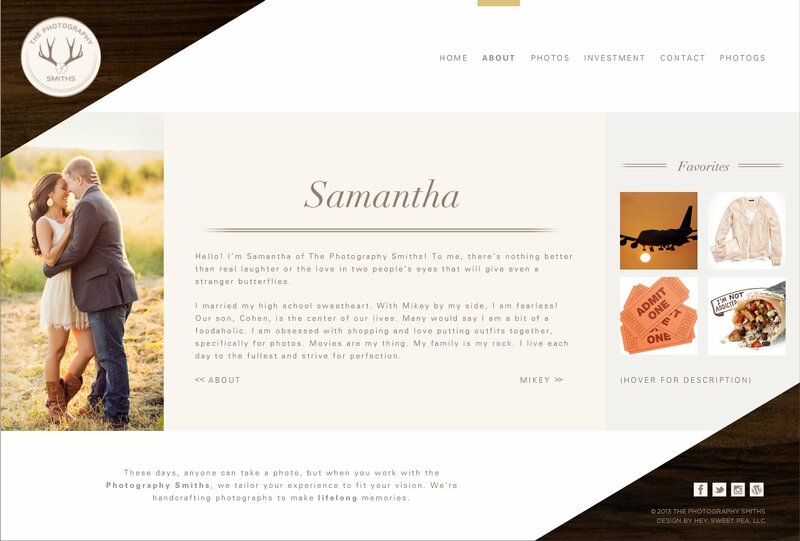 I’m Samantha of The Photography Smiths! To me, there’s nothing better than real laughter or the love in two people’s eyes that will give even a stranger butterflies. I married my high school sweetheart. With Mikey by my side, I am fearless! Our son, Cohen, is the center of our lives. Many would say I am a bit of a foodaholic. I am obsessed with shopping and love putting outfits together, specifically for photos. Movies are my thing. My family is my rock. I live each day to the fullest and strive for perfection.